Acrostic poems work by starting each line with the letter from a word; in this case, BEAVER! You could write about the characteristics of the animal, or his habitat. There are several versions available to print so choose the one that suits you. Test children's early counting skills by having them arrange the strips of this beaver counting jigsaw in order to complete the picture of the beaver. Choose from our colour or black and white options. Finger tracing is an excellent first step towards writing. Our finger tracing pages are good fun as they combine a word and picture which can be coloured in. Not one, but two little beavers adorn this handwriting worksheet. Complete your writing and then reward yourself with the fun colouring in. Can your children write a story featuring the busy beaver on this beaver scene story paper? Print our beaver spelling jigsaw on to card. Cut out the jigsaw and cut along the dotted lines to make strips. When the strips are in the correct order to complete the picture they will spell out the word beaver. Before you start colouring this super cute beaver, get a bit of writing practise by tracing over the letters of the word on this simple worksheet. This activity can be printed in black and white or colour. Fill in the answers on this worksheet and you'll be on your way to being a beaver expert! We've got Canada acrostic poem printables in 4 versions to suit all ages - a quick classroom or home activity for kids. Find out some facts and locate Canada and its capital on the map of North America on this, the second and more difficult of our Canada worksheets. Use this finger tracing worksheet with beginner writers, tracing over the letters with your child's forefinger until they feel confident enough to have a go with a crayon or pencil themselves. There is plenty of practice available for writing the word Canada on our handwriting worksheet! Kids can trace the word a number of times and then try it on their own on the last line. We have two versions of this Canada map location worksheet - one guided and one harder "blank". Here's a useful classroom printable showing Canada on a simplified outline of North America. Record some important dates from the last 150 years of Canada's history on our printable timeline. Children could also include their own birthday to see where they fit in. Learn to write the word "Canada" with the help of this word tracing worksheet, complete with Canadian flag to colour in. This worksheet, aimed at younger children, asks them to find out and record a few interesting facts about Canada. Built up a set of these worksheets! The Canadian flag, with its central maple leaf design, makes a perfect exercise in symmetry. Children are asked to draw the missing half of the flag on this worksheet. Trace the dotted lines to complete the Canadian flag. Can your children tell a story featuring some Canadian wildlife? This story paper with it's lovely detailed picture is sure to provide inspiration. Use our CN Tower story paper for creative or factual writing projects to add something a bit different to a Canada inspired project. Write an acrostic poem dedicated to the maple, whose leaf is a symbol of Canada. There are 4 pages to choose from on our maple acrostic poem printable. Children can practise early handwriting skills with a tree or Canadian theme twist. Trace out the letters to spell out maple on our maple finger tracing worksheet and then colour in the leaf. Add a cross curricula element to your handwriting practice with our maple handwriting worksheet. 4 fonts, getting progressively harder, will guide children towards independently writing the word maple. Use our maple leaf alphabet to print for classroom activities, to decorate the house with banners, in scrapbooking, and all sorts of other projects! We also have some Maple Leaf Numbers too. Children can celebrate Canada or autumn as they have fun practising addition with this maple leaf dice addition activity. Roll two dice, add them up and colour the correct leaf. Compete against the clock or a friend. Multiplication bump is a fun game to help children practice their times tables. Roll two dice, add them up, multiply by the number on the board and then place your counter on the answerD Don't forget to 'bump off' your opponent if they are there! Enjoy our maple leaf numbers to print - you can use them in school projects or at home. Try some early counting games, perhaps? We've got a Maple Leaf Alphabet too. This maple leaf symmetry worksheet asks children to complete the leaf with a mirror image of half already there. There are two versions; one with a grid to make it a bit easier and one without for more of a challenge. There is a leaf to colour and some dotted letters to trace to give lots of pencil control practise on this maple word tracing worksheet, perfect for Canada Day. Why not have a go at writing an acrostic poem using the Mounties as your inspiration! Choose from 4 design variations of page in the printable below. Learn to form letters with the help of this fun Mountie finger tracing worksheet, complete with colouring page. There is plenty of handwriting practice available on this fun Mounties themed handwriting worksheet, complete with picture for the kids to colour in. 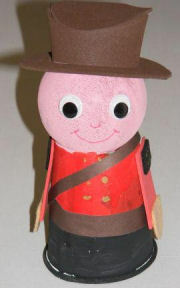 Use this lovely story paper to write about the Mounties, store notes or make up a story. The kids might like to colour in the picture, too. Get familiar with the letters in the word "Mountie" with the help of this word tracing handwriting worksheet. Colour in the picture, too. We thought this writing page might be useful for storing notes, or writing up what you have learned about the Royal Canadian Mounted Police - or Mounties for short. Use our Mounties story paper to write about the Mounties, journal a parade, or tell an imaginery story. If you have been lucky enough to visit the Niagara Falls why not get children to record their memories on our story paper. If like most people seeing the real thing is a dream you could use our Niagara Falls story paper to imagine a visit. Our Oh Canada copywork pages come in three versions - English, French and bilingual. They are a useful way to combine handwriting practice with learning the words! The spectacular backdrop of the Rocky Mountains would be an interesting place to set a story. Inspire children to get creative with our Rocky Mountain story paper.